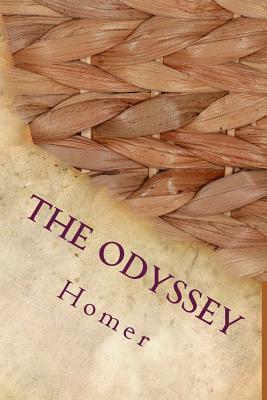 A wandering king who's a war-hero doomed to roam the earth by a vengeful God, a plethora of fantastic experiences, a wife battling the invasion of suitors who wish to replace her missing husband, a son in search of his father - the Odyssey is a rich tapestry of incredible experiences and unforgettable characters. A must-read classic for anyone who wants to understand the fundamentals of Western mythology, it is a sequel to the Illiad which recounts the magnificent saga of the Trojan War. The Odyssey continues on, describing the trials and tribulations of the Greeks under the leadership of Odysseus. Reputed to have been composed nearly three thousand years ago, its authorship is still being debated by scholars, though much of it is attributed to the blind poet Homer about whom very little is known. Yet the Illiad and The Odyssey remain the definitive foundations of all Western literature. The Odyssey is a magnificent epic tale that portrays the journey called life. In fact the word "odyssey" in English itself has come to mean a long and eventful journey. In the preceding book The Illiad, Odysseus called Ulysses in Roman mythology, the king of Ithaca, gets embroiled in the Trojan War through the trickery of the Greeks. But once inside, his wonderful qualities of intellect, strategy and leadership come to the foreground as he leads his soldiers to victory. The story of the Odyssey begins when the war of The Illiad ends. Odysseus and his men embark to return to Ithaca but his sworn enemy, the sea god Poseidon, stymies him at every turn, sending storms and foul weather, forcing the wanderers to take shelter in strange and sinister lands. The Odyssey is, besides, the story of Odysseus' beautiful wife Penelope, whose life becomes a struggle, fighting off the innumerable hopefuls who wish to take over her kingdom and her fortune in the absence of her husband. It is also the poignant growing-up tale of Telemachus, a faithful and steadfast son, who refuses to believe that his father won't return. There are many notable translations from the original Greek and it has also been extensively portrayed in art, literature, television and television in languages around the world. Full of human tragedy, bizarre and fantastic creatures, gods and magical beasts, the Odyssey is a treasure-chest of marvelous events. For modern-day readers, young and old alike, it provides exciting, interesting and relevant ideas of war, politics, exile and identity.A wandering king who's a war-hero doomed to roam the earth by a vengeful God, a plethora of fantastic experiences, a wife battling the invasion of suitors who wish to replace her missing husband, a son in search of his father - the Odyssey is a rich tapestry of incredible experiences and unforgettable characters. A must-read classic for anyone who wants to understand the fundamentals of Western mythology, it is a sequel to the Illiad which recounts the magnificent saga of the Trojan War. The Odyssey continues on, describing the trials and tribulations of the Greeks under the leadership of Odysseus. Reputed to have been composed nearly three thousand years ago, its authorship is still being debated by scholars, though much of it is attributed to the blind poet Homer about whom very little is known. Yet the Illiad and The Odyssey remain the definitive foundations of all Western literature. The Odyssey is a magnificent epic tale that portrays the journey called life. In fact the word "odyssey" in English itself has come to mean a long and eventful journey. In the preceding book The Illiad, Odysseus called Ulysses in Roman mythology, the king of Ithaca, gets embroiled in the Trojan War through the trickery of the Greeks. But once inside, his wonderful qualities of intellect, strategy and leadership come to the foreground as he leads his soldiers to victory.